Schleese merchandise may not be purchased in conjunction with educational courses. Please purchase merchandise on a separate online order due to tax calculations and shipping cost which then need to be calculated. Sorry for any inconvenience. 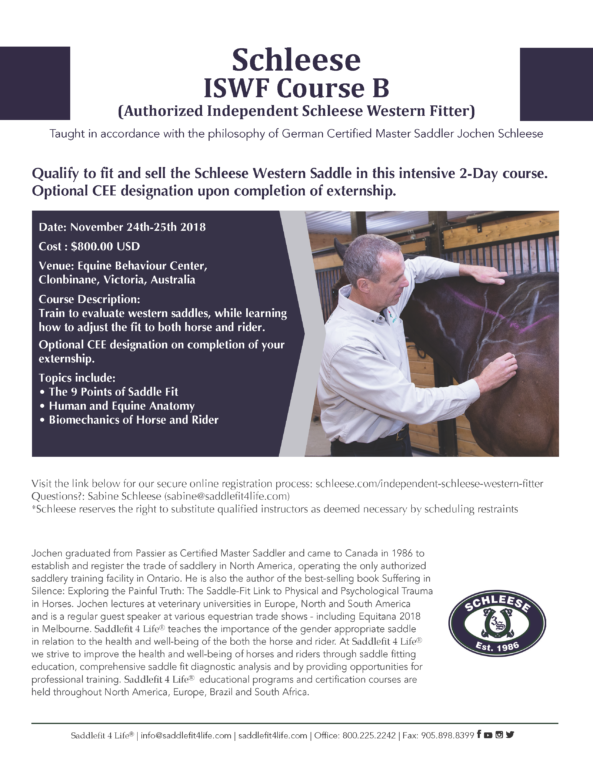 Qualify to fit and sell the Schleese Western Saddle in this intensive 2-Day course. An optional CEE designation upon completion of the externship. Click to enlarge and print poster. 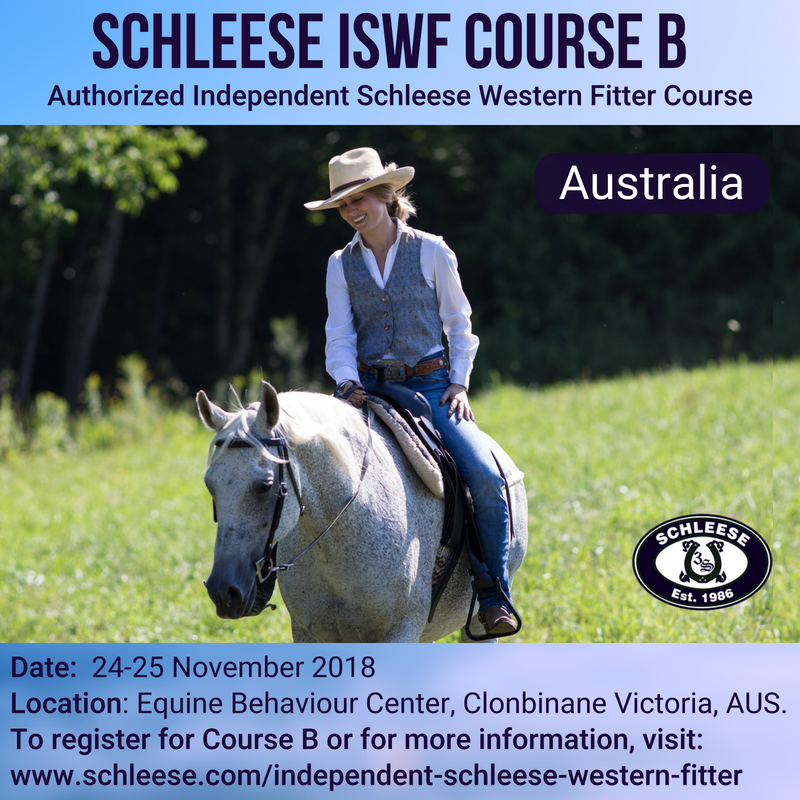 Train with world-renowned Jochen Schleese to evaluate western saddles, while learning how to adjust the fit to both horse and rider. An optional CEE designation on completion of your externship. 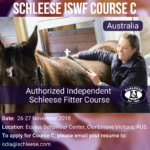 You must have previously completed and submitted the application form for the (ISWF) Independent Schleese Western Fitter at https://schleese.com/independent-schleese-western-fitter-application-form-australia/ and have been subsequently accepted to take the ISWF course. Each of our 3 horses has the benefit of having their own Schleese saddles and I am disinclined to risk their backs with a non-Schleese saddle... By the way, my gelding, Cloud Nine Cometa took 4th Grand National Champion in his division at our National Show. He’s also the 5th highest pointed gelding among all Paso Fino divisions nationally. We owe much of our success to the benefits derived from using Schleese saddles. When Cometa’s saddle returned from 6 weeks of service at your facility, he moved much more freely and really perked up. It was his testimonial to the excellent fit and related freedom we experienced with his saddle. I feel that our success is tied directly to our Schleese saddles. Thank you for providing such a wonderful product.